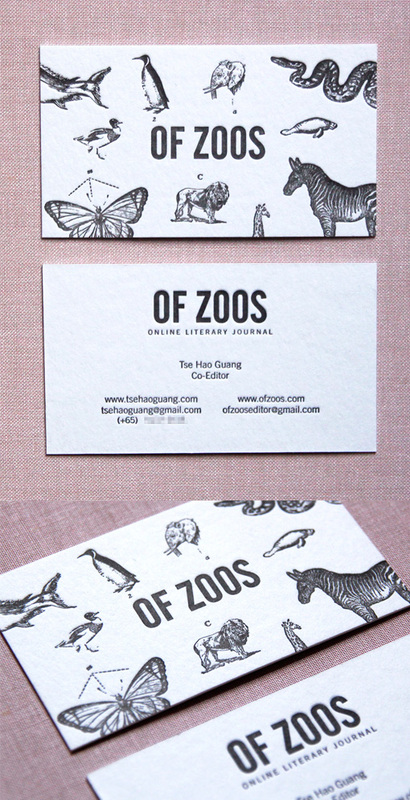 This quirky design was created for a modern art and poetry journal which is published in Singapore. The card features vintage animal illustrations which reflect the name of the journal and give an eclectic feel to the card. The cards were printed in black on white using the letterpress method, an antique process which nicely reflects the vintage styling of the design.